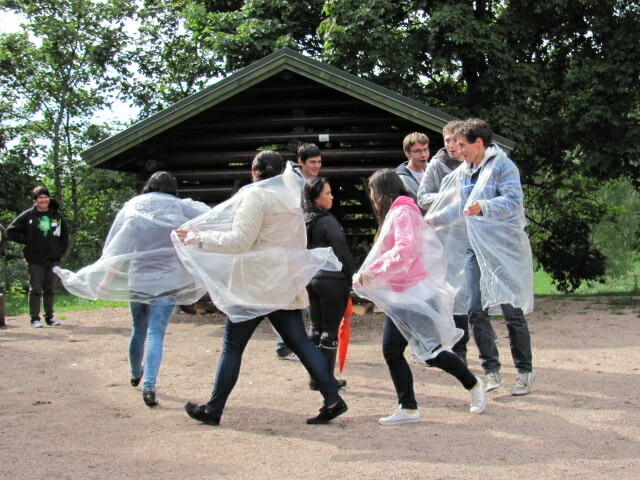 Despite the heavy rain in the morning, orientation day for first year IBL/EM/EBA students was a great event. 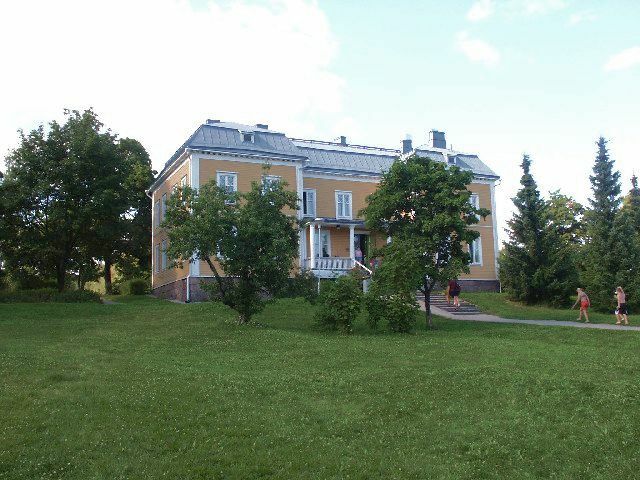 Luukki mansion and national park was the location for the day and it provided large open space to compete in games and competitions. A big thank you must go to the main organiser of the event, which was the energetic Heidi who was backed up by her side kicks of Anu and Satu who in turn had great assistance from the Metropolia Mentors. The idea for the event was to show our first year students what Metropolia Business School is all about and do so in a friendly fun atmosphere where everyone can get to know everyone and form new networks. The event consisted of a number of competitions based on well known television series and game shows. 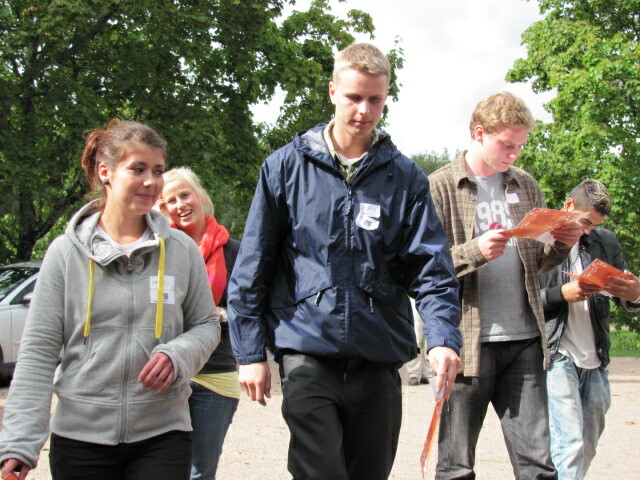 You can view the days programme by clicking here Metropolia Business School Orientation Day in Luukki. Teams competed in the ‘Madventures’ competition which was an expedition in a rubber boat through the treacherous Luukki waters. Big Brother, Amazing Race, Fear Factor and the apprentice provided a stern test of students’ knowledge, skills and socialising ability but they progressed through with flying colours and Donald Trump did not have to fire anyone. 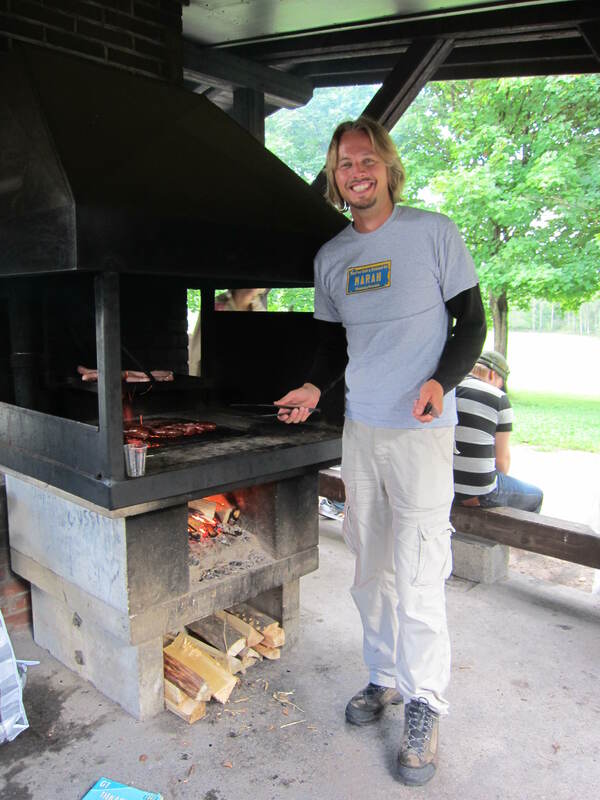 Toward the end of the day, food was served by the colourful culinary crew of teachers and we have not had any reports of food poisoning yet 😉 Certainly Chef Marko was kept busy again showing us his skills with cooking sausages. Chef John and Kafil created some amazing sandwiches while Louise and Rebecca handed out refreshments. Juliet and a new twist on the birth of Jesus. Musical performances were provided by the ‘Silent Orchestra’, Queen “We Will Rock You” while a rain dance performance swept us off our feet (by rain of course). There were other noteworthy performances which had one wondering are we a business school or a theatrical school? The winners of the whole event walked away with the much sought after prizes of free tickets to the Metropolia Gala Evening taking place on the 5th of November.